NBC 5 and the Dallas Black Dance Theatre (DBDT) invite you to experience the 13th annual DanceAfrica performance on Friday, October 5, and Saturday, October 6, at the Moody Performance Hall in Dallas. DBDT kicks off their 42nd season with the 13th Annual DanceAfrica series on October 5-6, at the Moody Performance Hall. Friday and Saturday evening performances will feature guest artist, Step Afrika! 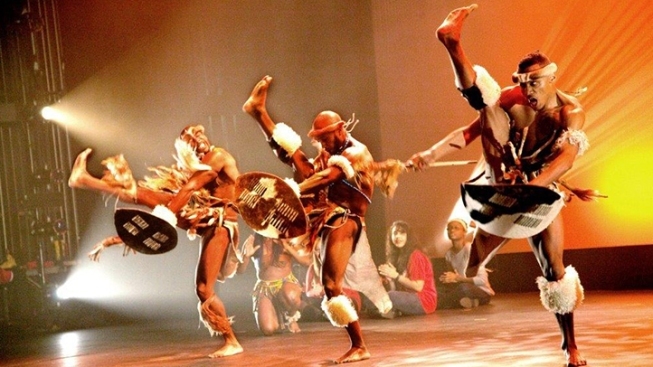 The international touring company jubilantly links the historic tradition between South African dance and stepping, a ritual for African American fraternities and sororities across America. On Saturday, October 6, DBDT will be hosting the DanceAfrica Festival, from 10:00 a.m. – 2:00 p.m. at Annette Strauss Square. The free family event will feature mainstream performances by dancers from Dallas Black Dance Theatre, Dallas Youth Repertory Project, Grupo Folklorico Mexico Lindo, and other college and high school dance teams. Fun for the entire family, the event will include vendors, fun, art, children’s activities, face painting, and a fashion show by Trendy Africa. To learn more, visit www.DBDT.com.